Cathy has been performing as a background vocalist/acoustic guitarist with Walt Sanders & The Cadillac Band since 1999. A lifelong musician, Cathy began her music career at a young age performing with her sisters as a family group: The Belfiore Sisters. Cathy and her sisters covered a lot of ground performing regularly at The Winesburg Inn and several area festivals, clubs and organizations. They landed a spot as regular artists on "The Gene Carroll Show" out of WEWS Cleveland and spent several years performing with Live Shows at Kings Island, Darien Lake, Geauga Lake, Cedar Point and The Mutton Hollow Theater in Branson, MO. Cathy has been playing the guitar since age 8 and has taught private lessons for over 30 years. Cathy is very active leading contemporary worship at her local church and is also very passionate about building and developing youth worship bands. She is very proud of her past and present guitar students and youth worship team members, many of whom have gone on to study music and play professionally. Cathy holds a Bachelor of Arts in Communications with a minor in Music Performance and a Masters in College Student Personnel. Cathy works full time for Oberlin College and resides in Bellevue, Ohio with her (3) multi-talented boys. Erica resides in Findlay, OH, with her husband and step-son. She has been singing with Walt Sanders & The Cadillac Band since 2011. While not on stage singing Elvis music, Erica spends her spare time on stage acting or playing in the pit for Findlay Light Opera Company, Fort Findlay Playhouse, The Arts Partnership, and other Findlay venues. She also performs songs from one of her favorite singers, Karen Carpenter. When not on stage, you can find Erica cheering on the Ohio State Buckeyes and Pittsburgh Steelers! AJ's music career started at the age of 9. With full support of his parents AJ began taking private guitar lessons from Toledo veteran guitarist, John Justus. At 14, AJ formed “The Notables” with two high school friends and started playing private parties, weddings, country clubs and of course the “animal clubs” (Elks, Eagles, Moose etc.”) Please click the link below to read more about Aj's musical career. From "The Notables" to "Wally and the Beavs" to Walt Sanders & The Cadillac Band, AJ's played with the Best. Dave is from the North Shore of Ohio. In addition to his work with Walt Sanders & The Cadillac Band, he is in demand as a freelance bassist with a wide variety of regional bands and musical acts. Dave also enjoys recording original music creations in his spare time. Pete, a professor of Music Theory at Adrian College, brings his keyboards to life providing all the intricate sounds heard in the background of every Elvis recording. Piano parts, string and horn parts. Nothing is missing while Pete is on stage. Click on the link below for more details on Pete and his music career. A graduate of the University of Kentucky with a degree in music education, Scott Kretzer is a freelance percussionist and teacher in the Northwest Ohio/Southeastern Michigan area. He teaches applied percussion, world music, and works with the jazz combo ensembles at Heidelberg University. Scott also teaches applied percussion and percussion methods at Adrian College. Along with Walt Sanders & The Cadillac Band, Scott performs regularly with the Scott Gwinnell Jazz Orchestra, Carl Cafagna and North Star Jazz, The Sixth Edition, and The Murphy’s Place Jazz Orchestra. He has performed with many top jazz artists including Clark Terry, Delfayo Marsalis, David “Fathead Newman”, Shirley Jordan, John Clayton, Sonny Fortune, and Jon Hendricks. In 1991, Scott was inducted into the Yamaha Young Artist Program after winning the Drum Corps International solo snare drum competition in the summer of 1990. He served as a percussion instructor for the Cavaliers Drum and Bugle Corps from Rosemont, Illinois (1991, 92, 94, 96) and a percussion arranger (1997-1998). He also arranged for and instructed the Aimachi Band from Nagoya, Japan and the Wistaria Windies Drum and Bugle Corps from Toyama City, Japan. Other groups include Maumee High School (Maumee, OH), Klein High School (Houston, TX), the University of Kentucky (Lexington, KY), and the University of Miami (Miami, FL). If you’ve seen or heard live music in North Central Ohio in the Last twenty five years there’s a good chance you’ve seen Lance Horwedel. In addition to providing production for local festivals and outdoor events, he was also the nucleus of several popular area bands including Hipster, The End, Rumours, and Dazey Chain. He also enjoyed being a member of Cleveland’s Kidd Wicked in the late nineties. 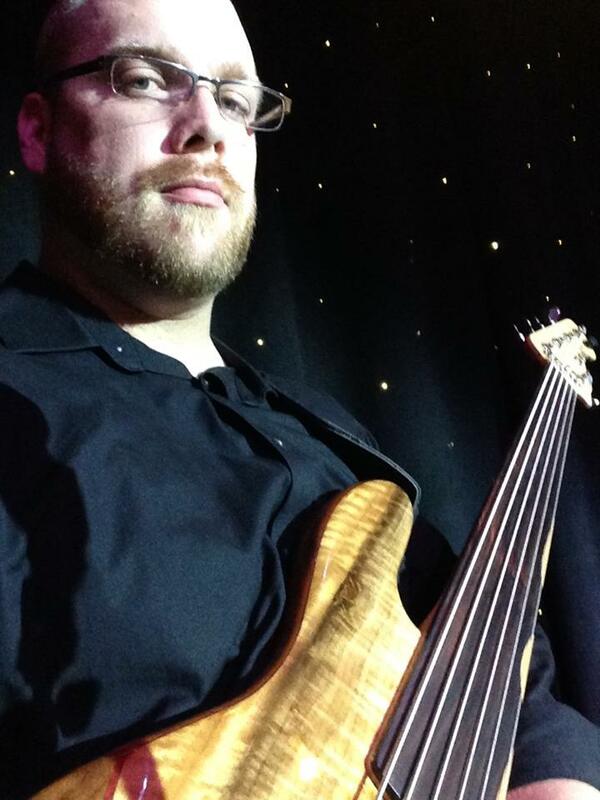 Douglas is currently Instructor of Jazz/Contemporary Guitar at Capital University- Conservatory of Music, Mt. Vernon Nazarene University, and the Univ. of Findlay, Ohio. Douglas has also served on the faculty at Mt. Vernon Nazarene University, Bowling Green State University, Tiffin University, and Terra State Community College during his career. In addition to being a Performing Artist for Benedetto Guitars, Douglas is also an Edwards Trombones Affiliated Artist, and performs throughout the region as a trombonist, 7-string guitarist, and bassist. He holds degrees from the Capital University- Conservatory of Music (BM, Music Performance) and Bowling Green State University- College of Musical Arts (MM, Dual Specialization). Jeff has been a professional musician since the age of 13. An avid lifelong musicological interest has enabled him to work in many different musical situations with an authentic approach and feel for the music. From Rock to Jazz, Blues to Pop and classical, to the Studio to Theater Pit Orchestras to whatever. 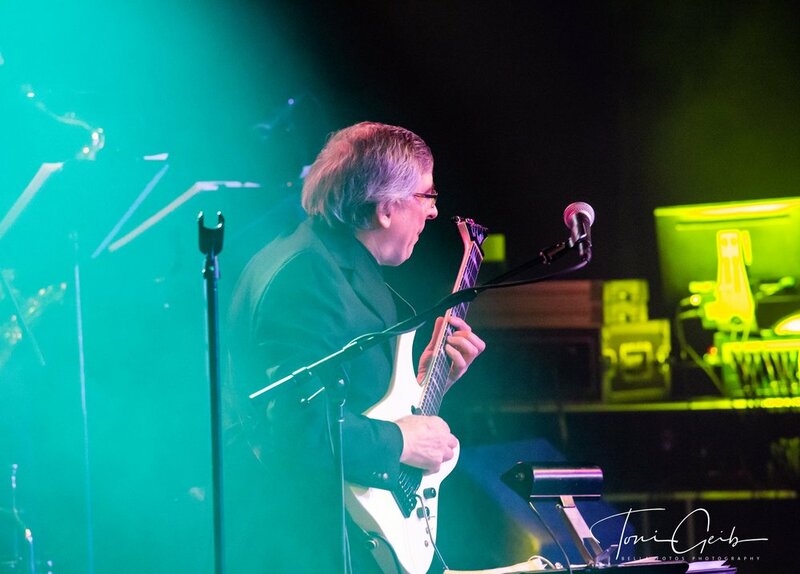 In addition to working with Walt Sanders and The Cadillac Band, he is also a member of "HIGHLIFE AGAIN" (The Music of Steve Winwood), Jeff Dempsey's Soul Cry (original music), The Stokes Brothers Band (Blues, Funk, Classic Rock), Airtight (Jazz Quartet) and is part of the teaching staff at Musicians Alley in Sandusky Ohio. Horns are also available to put your concert experience over the top. With charts to nearly all songs performed, this is a wonderful addition to our show. when budget allows.